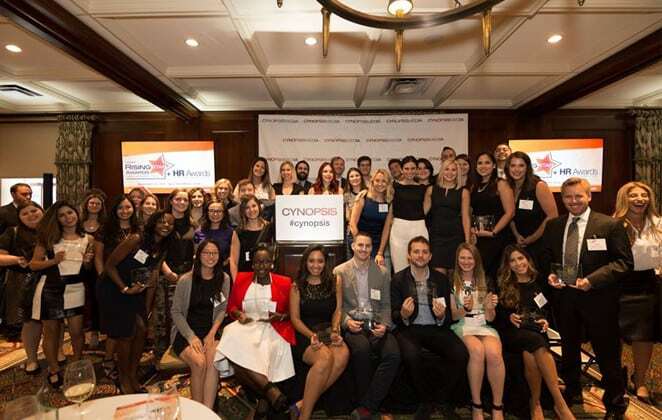 Many of the best and brightest in the media industry gathered Thursday night (9/15) for Cynopsis’ 2016 Rising Stars Awards presentation. The leaders of tomorrow, representing ABC, BET, BTN, Giant Spoon, Horizon Media, LeadDog Marketing, Mindshare, NBCU, Octagon, Pac-12, Turner, Univision, Vevo, Viacom, Xaxis, Yahoo and many more, mixed and mingled before taking to the podium to pick up their awards. The presentation ended with a surprise proposal to one of our honorees (Diana from Digital Air Strike) – see the video here! These young innovators’ experience spans research, sports, digital, content and marketing, whether their focus is ad campaigns, data analytics or digital programming. If these professionals, age 30 and under, are any indication, the future of this industry looks bright indeed.